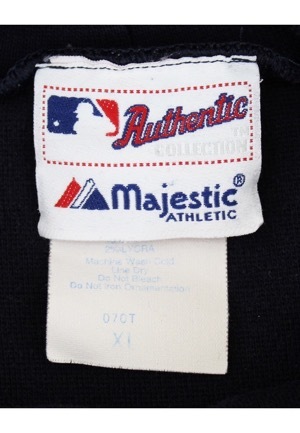 On the front left tail is the Majestic manufacturer’s tag with a blank strip tag adjacent. 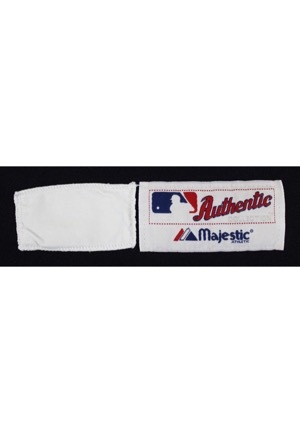 Attached to the rear collar is an additional Majestic flag tag and a flag tag with shirt materials, washing instructions and the size “XL”. 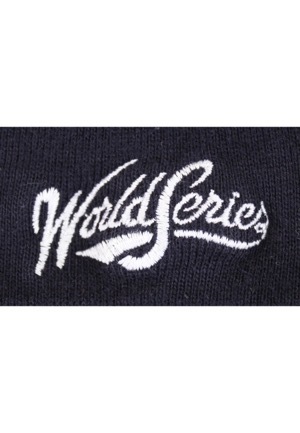 Embroidered in white on the front of the collar is “World Series” and a “MLB” logo embroidered. 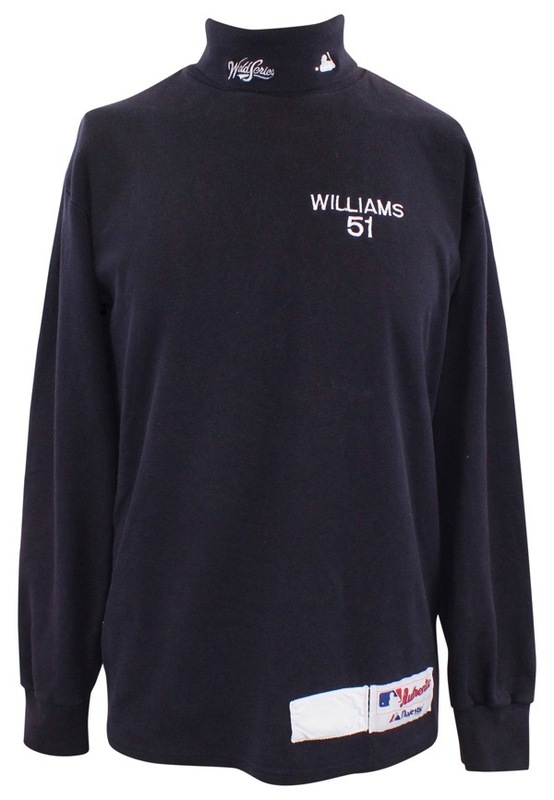 On the upper left chest reads “WILLIAMS 51” also embroidered in white. This shirt is properly tagged and was presented to us as World Series worn by Bernie Williams.